Originally published in 1987, this book includes contributions from scholars and peace activists in the United States, Britain, Canada, Belgium, and the German Democratic Republic. These papers present, from a number of different perspectives, the experiences of women in relation to peace in North America, Japan and Europe. The theoretical diversity and historical breadth of the collection provide a balanced and enlightened view of women and peace movements. The papers range from an important theoretical contribution by the American scholar Berenice Carroll to one on the peace movement in Japan after Hiroshima and Nagasaki by Setsuko Thurlow, a Japanese-Canadian and a Hiroshima survivor. 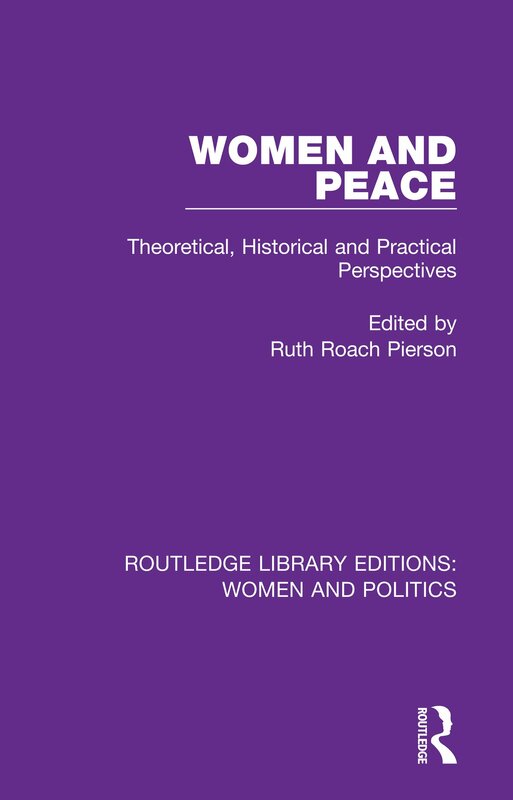 The papers are divided into theoretical, historical and practical approaches and the main part of the book is concerned with historical accounts of women’s involvement in peace movements. An important issue covered is the contradiction that arises between feminist and pacifist ideals in peace movements. Literary figures such as Vera Brittain and Charlotte Perkins Gilman are also discussed. This book will have multi-disciplinary appeal to students and academics in women’s studies, peace studies, sociology and history. It will also be of interest to activists in the women’s and peace movements.